Well, first I have to say sorry. It's clearly obvious that I'm still a little rusty with the whole blogging thing. I've messed up both book chats since it returned. It would seem that I set up the wrong link tool in last week's post. Yikes. If you wrote a post last week that you would like to share, you can still add it. I've been in Ireland all week and well, maybe my brain is still there. Then forgot to schedule todays. Sheesh. Bear with me. I'll get my stuff together. Promise. What are some of your favorite self-published books? Do you ever read self-pub, why or why not? I think it's very important to support indie authors (and artists for that matter). They do the same amount of work as a traditionally published author, and sometimes more. The publishing path is a choice and doesn't mean the work is any better or worse. Indie authors are brave, tough, hard-working and passionate. Just think about it, for the most part, they're going it alone. If you self-publish, you are the author and publisher, and most times editor, cover designer, and marketer. It is a no-nonsense business and self-publishers don't ask for permission. They have a story to tell and they don't wait for someone to open the door for them. They kick that sucker down. I've spoken a bit recently about my favorite self-published books. Last week, I shared the cover reveal for one of my favorite authors (period), Keary Taylor. 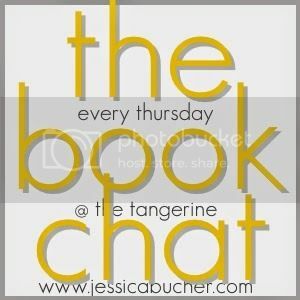 Then, on our first book chat return, I shared the indie series I was reading by Amanda Richardson. I've reviewed quite a few other indie titles. Like this. And this. Friends, Twitter, Facebook and word of mouth! So, now I want to hear from you. What are your thoughts on indie authors? Do you read self-published books or have you considered it for your own publishing option? I can't wait to hear from you! Next week's topic: Next week is my birthday! And for my birthday, I want a really good book recommendation. Tell me what to read! Thanks for the great share, actually i don't have any idea about indie authors. but after read this article i got a brief idea about the indie author and there writing quality. Hope indie authors writing service will help everyone to get a perfect and quality writing papers. Thanks for such a great information. I have got the place where I could pass my whole day. And it is Facebook which has a great influence on me and now I am online all the time for all. I think this is a social platform for people where they could know about their friends and much more updates. This time I have got the tool with the help of which it is very easy to hack facebook account of anyone. Facebook is a very secured website so it is a very dificult task to do. But I have got the very rarely seen hack tool to get the information of different accounts. if u want PS4 code then this is best place for free psn codes.click right now.